Scientists have long studied the warming effect that cities have on local air temperatures. The heat-retaining properties of the building blocks of urban development can make cities up to 10 degrees Celsius warmer than the surrounding area, according to some studies. What’s less clear is the effect that the so-called urban heat island has on the streams running through cities. A recent study of 60 stream sites in North Carolina aims to start filling in the knowledge gap. 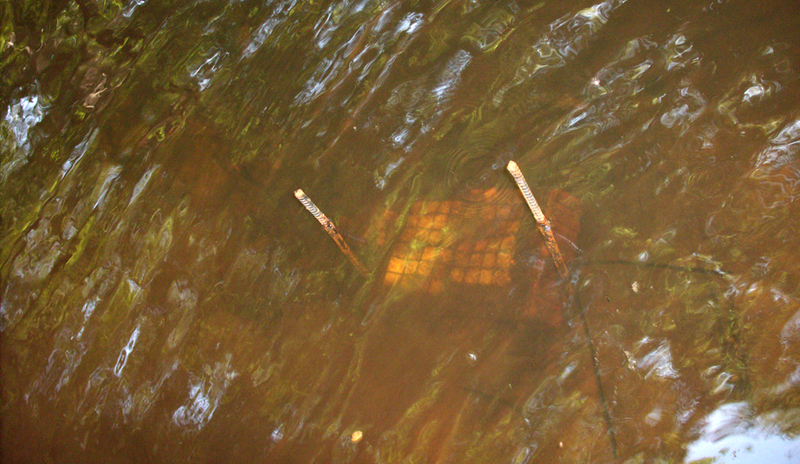 In 2009, researchers from Duke deployed water temperature loggers in streams running through forested, agricultural and urban environments. The effort to collect data in a diverse set of stream sites brought the crews to the full range of habitats, from protected forests to the inner city. Some streams were beautiful, cold and full of fish, Somers said. The Onset HOBO Temperature/Alarm Pendant Data Loggers captured water temperature measurements every 10 minutes for around 20 days in May and June. Measuring temperature every 10 minutes was important for the researchers, who were particularly interested in the quick changes brought on by runoff from heavy rain. While air temperatures in a city can be up to 10 degrees Celsius above the surrounding area, pavement can reach up to 60 degrees warmer than the air. Heat surges can be tough on stream organisms. Even at below lethal temperatures, a quick warmup can make them quit feeding or lose their equilibrium, which can make them easy targets for predators. The researchers also looked at landcover data to characterize the watersheds surrounding the 60 stream sites, tracking the amount of development or forest in the surrounding area. They also recorded on-site stream characteristics like channel width and whether the stream was shaded by a tree canopy. The results show that streams with developed watersheds were generally warmer than those with more forests. Though urban streams were generally warmer, there was some variability. Some urban streams were cooler than others, which seemed to be a result of on-site factors like canopy cover. Even a stream with a developed watershed can keep a cooler-than-expected baseflow with shade from well treed banks. But even an abundance of shade trees couldn’t prevent the warming effects of a developed watershed during stormflow. In urban streams, the storm-induced heat surges tended to overpower local cooling effects. That finding could be valuable for stream management and restoration efforts. For example, projects like planting streamside vegetation might help cool water under normal flow conditions. But to protect against heat surges during storms, managers will have to address the urban infrastructure funnels hot runoff into streams. The results of the study are published in the journal Freshwater Science.